The Alberta Sport Development Centre – Central (ASDC-C) is pleased to announce that the ASDC-Central Athlete of the Month for November 2018 is Riley de Wit. Riley de Wit is a 17 year Red Deer resident and competitive Volleyball player with the Lindsay Thurber Comprehensive High School Raiders and the Central Alberta Queens Volleyball Club (CAQVC). Co-captain LTCHS Raiders Senior Volleyball Team, 2018 ASAA 4A Provincial Volleyball Champions and 2018 CASAA Volleyball All-Star. 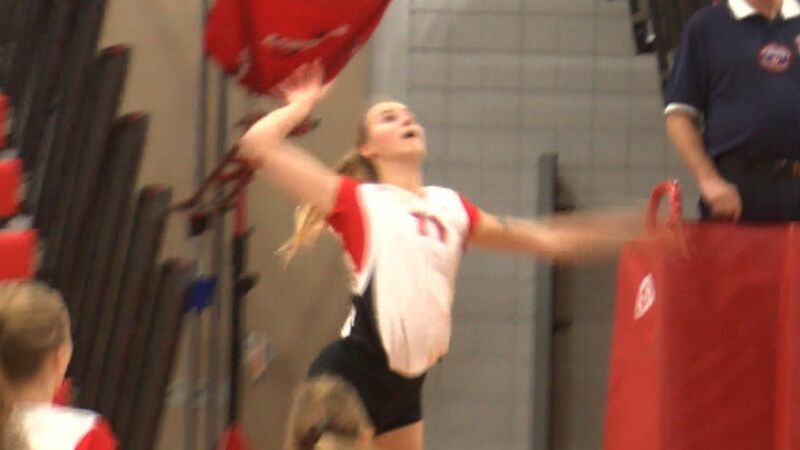 Member of Lindsay Thurber Raiders volleyball team for 3 years – finishing 2nd in her Grade 10 season and winning back-to-back ASAA 4A Provincial Championships in Grade 11 and 12. Raiders ranked #1 in 4A Girls Volleyball in Alberta Schools Athletic Association all season. This season the Raiders have won 5 of 6 tournaments and finished 2nd in their other tournament. Harry Ainlay is the only tournament that awarded All-Stars and Riley was named to the All-Star Team and selected at the TVT Tournament MVP. Riley was a member of Team Alberta (17U) and captured a Bronze medal at Volleyball Canada’s inaugural Canada Cup this summer in Richmond, BC. Riley is also accomplished in track and field, representing Lindsay Thurber at ASAA Provincials the past two seasons, capturing a Bronze medal in the 4 x 100m relay and setting a personal best in long jump (4.97m and 6th place), and narrowly missing a place in the 100M Final in 2018. Riley captained her 17U Queens Volleyball team to a Division 2 National Championship this past spring – going undefeated at Provincials and Nationals in the process. With Riley’s strong work ethic, her undeniable athletic abilities and her training experiences with ASDC-Central she will surely continue to grow, develop and succeed in her Volleyball career! For further information regarding this athlete, the ASDC-Central and our programs, please contact Miles Kydd @ HYPERLINK “mailto:miles.kydd@rdc.ab.ca” miles.kydd@rdc.ab.ca or 403-342-3231.